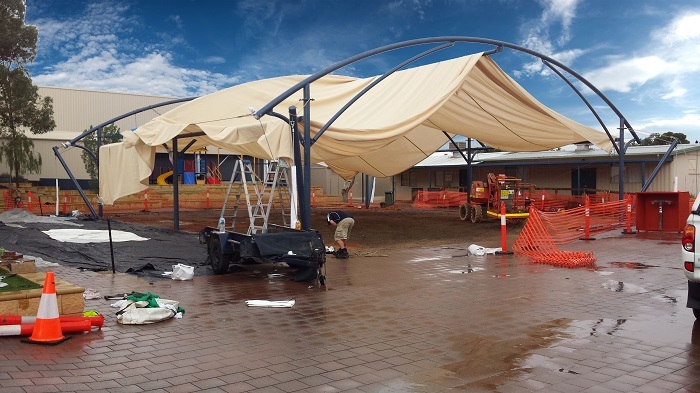 The School required a large canopy to cover their outside play area, one that would span a great distance. 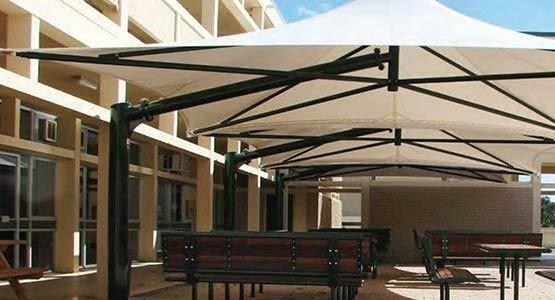 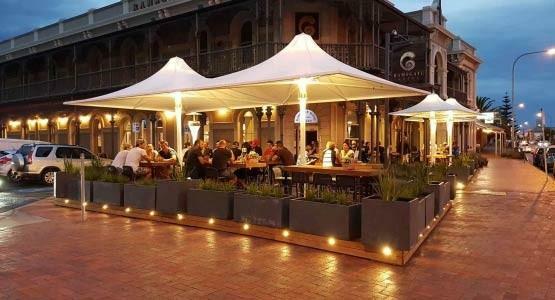 In order to cover the whole area a 19x19m custom made Monotec Shadecloth canopy was chosen as the design. 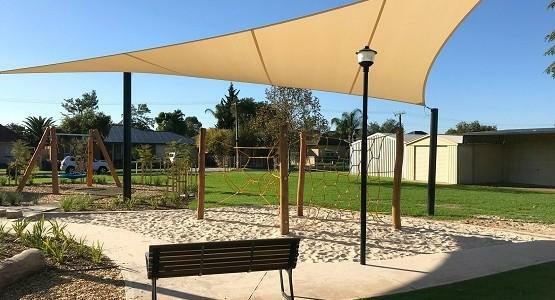 Now the students can safely play outside and remain well covered from the sun, staying cool and protected from harmful UV rays. 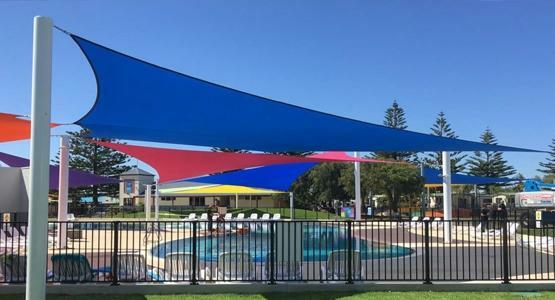 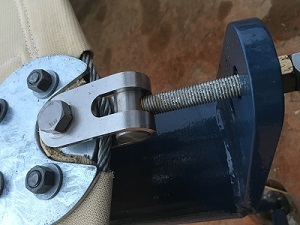 A custom shade canopy was crucial to the design, with its unique ability to span large distances without any support structure. 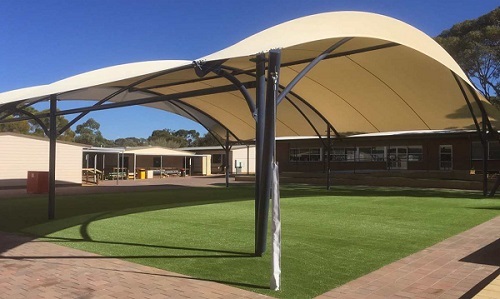 Using a barrel-vault design, the whole grass play area could be covered simultaneously. 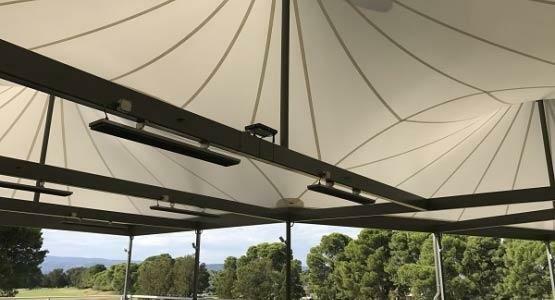 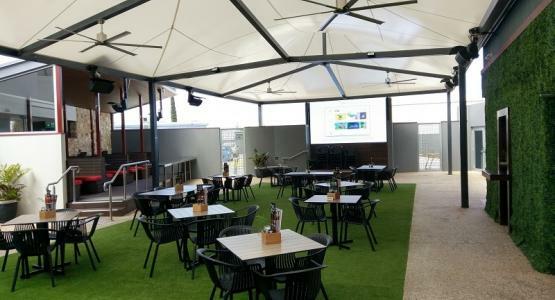 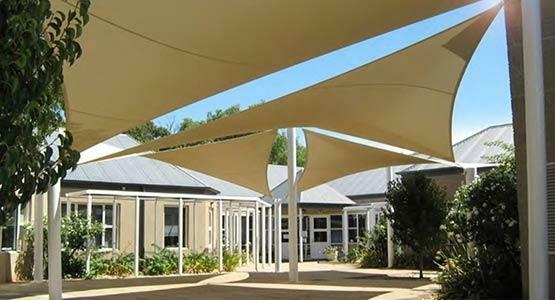 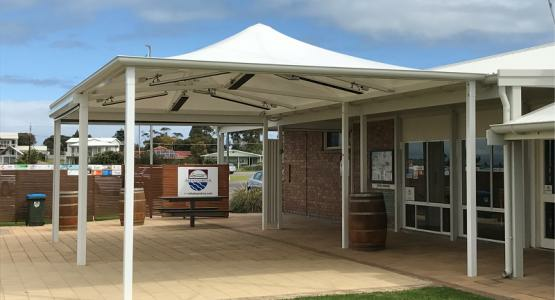 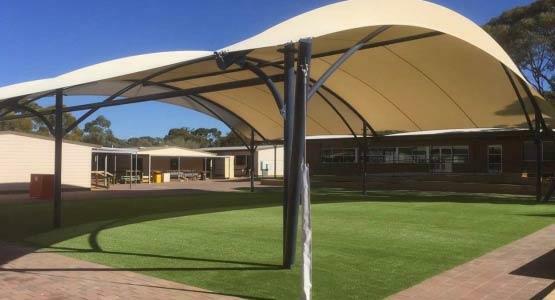 High quality commercial shadecloth finished off the design, making for an impressive structure that is robust and low maintenance. 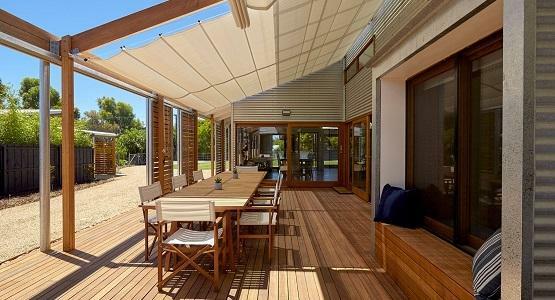 Built in conjunction with Roxby Downs Verandahs & Carports.